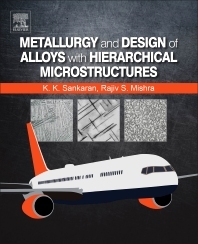 Metallurgy and Design of Alloys with Hierarchical Microstructures covers the fundamentals of processing-microstructure-property relationships and how multiple properties are balanced and optimized in materials with hierarchical microstructures widely used in critical applications. The discussion is based principally on metallic materials used in aircraft structures; however, because they have sufficiently diverse microstructures, the underlying principles can easily be extended to other materials systems. With the increasing microstructural complexity of structural materials, it is important for students, academic researchers and practicing engineers to possess the knowledge of how materials are optimized and how they will behave in service. The book integrates aspects of computational materials science, physical metallurgy, alloy design, process design, and structure-properties relationships, in a manner not done before. It fills a knowledge gap in the interrelationships of multiple microstructural and deformation mechanisms by applying the concepts and tools of designing microstructures for achieving combinations of engineering properties—such as strength, corrosion resistance, durability and damage tolerance in multi-component materials—used for critical structural applications. Dr. Krishnan K. Sankaran is an Adjunct Professor in the Department of Materials Science and Engineering, University of North Texas. He specializes in aerospace materials and processes and retired as a Senior Technical Fellow from The Boeing Company in 2014. Dr. Sankaran received his Ph.D. in Metallurgy from the Massachusetts Institute of Technology in 1978. He has many publications and US and European patents. He has been an adjunct professor of materials science and engineering at the Missouri University of Science & Technology, Rolla, MO and Washington University in St. Louis. He was a member of the Research Board and the Council of The Welding Institute, UK. He is a Fellow of the Academy of Science of St. Louis and a member of AIAA, ASM and TMS. In 2012, he was elected as Honorary Member of the Indian Institute of Metals for his distinguished services and significant contributions to the metallurgical profession and research. 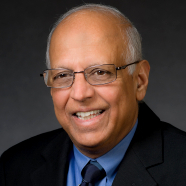 Rajiv S. Mishra is a professor in the Department of Materials Science and Engineering, and Site Director, NSF IUCRC for Friction Stir Processing, at the University of North Texas. Dr. Mishra’s publication record includes 255 papers with an h-index of 39. Out of these, 10 of his papers have more than 100 citations. He has many ‘firsts’ in the field of friction stir welding and processing. He co-authored the first review paper (2005), co-edited the first book on the subject (2007), edited/co-edited seven TMS symposium proceedings, and served as guest editor for Viewpoint Set in Scripta Materialia (2008). He also has three patents in this field. He published the first paper on friction stir processing (2000) as a microstructural modification tool.